The Wave Sport Hydra is new to wavesports range this year. Perfect for all paddler abilities, the Hydra is great for flat water touring but also has pronounced rocker allowing you to surf and take on some sea work. The Wave Sport Hydra is an all new high performance touring kayak that is the perfect choice for paddlers of all skill level, whether you’re looking for gentle cruising. 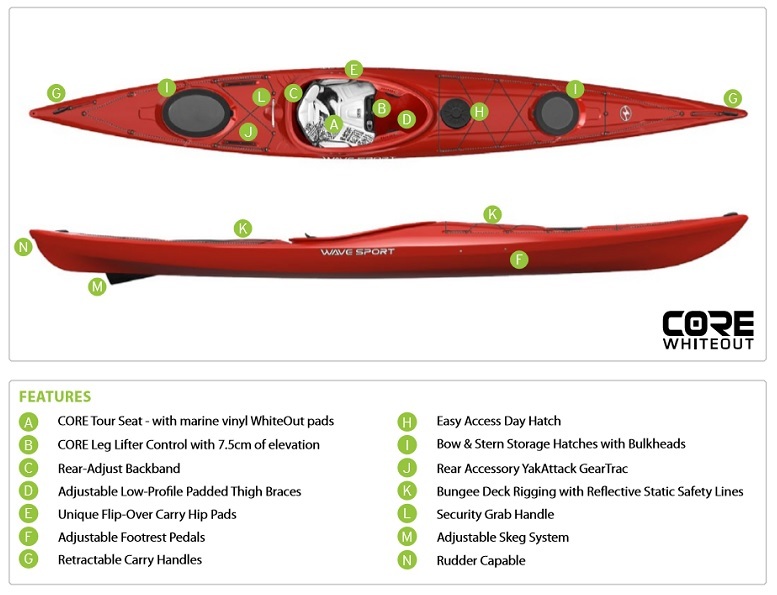 The Wavesport Hydra is also the perfect choice of kayak for those with a little more experience, looking for a kayak suited for rock hopping and surfing. If you’re a whitewater boater looking to play the ocean then look no further than the Wavesport Hydra. With soft chines and a shallow v shaped hull the Wave Sport Hydra will ensure a forgiving and stable platform for beginners to develop and the finely tuned rocker profile makes the boat manoeuvrable and user friendly. The Hull of the Wavesport Hydra is fast and stable on the water. The Wavesport Hydra still has the performance for experts to take it to the next level. 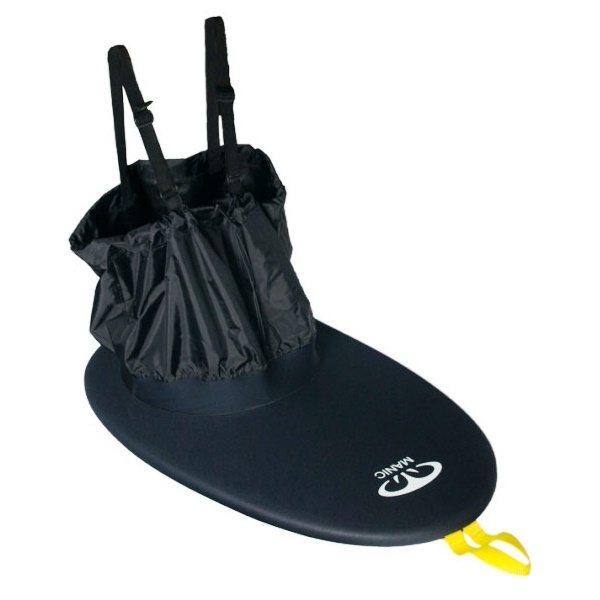 The rocker profile allows the boat to handle the toughest sea conditions and it’s great at surfing and rock hopping. The Wave Sport Hydra features two sealed hatches with bulkheads and a deck mounted day hatch for keeping those on the water essentials close by. The Hydra also has a drop down skeg to help with straight line tracking, and slide lock footrests. Fitted with Wave Sports tried and tested Core Whiteout outfitting for paramount comfort, adjustment and security. The Wave Sport Hydra is fitted with low profile hip pads and thigh braces ensuring maximum connectivity. 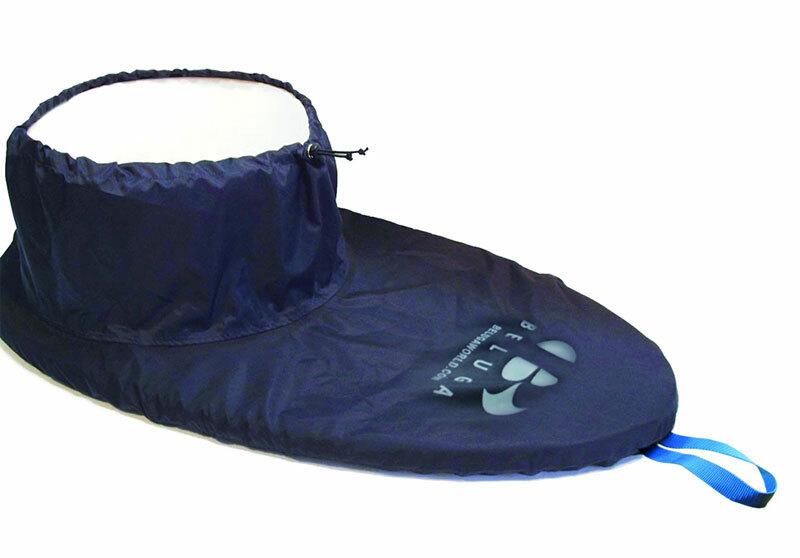 The Hydra is available in one size to fit most paddlers with bags of legroom and a highly adjustable outfitting system. The Hydra paddles well empty or full of gear, whether you’re out for a day’s surfing or covering some coastline for the weekend. Same blade construction with a lighter weight fibreglass shaft. Lightweight nylon spraydeck that is easy to fit and remove. Features an adjustable drawcord waist. Lightweight combi deck with breathable waist tube made in the UK. The Manic Tour is perfect for recreational touring. Folding kayak trolley for transporting your kayak from the car to the beach. Folds up and fits into the rear storage hatch. We offer a delivery service for the Wavesport Hydra throughout the UK & Ireland to home and work addresses. If you are local to our shop in Hamworthy, Poole then we may be able to deliver a Wavesport Hydra with one of our own vehicles. For boats, this is free to most BH Postcodes - please call us on 01202 625256 to discuss your requirements. Buy a Wavesport Hydra online from our website and collect from our shop in Hamworthy, Poole or you can collect from any branch within the Canoe Shops Group. There is no cost associated with instore collection.